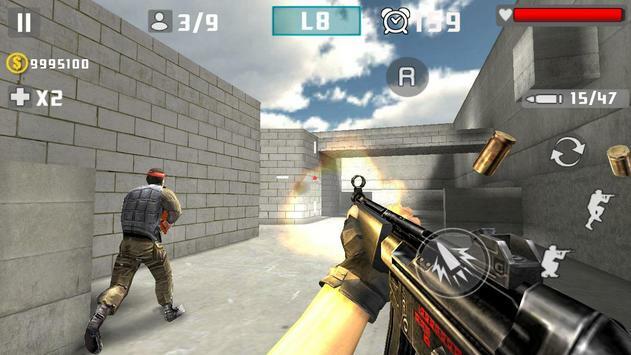 "Gun Shot Fire War" 3D FPS game. In the game you play the role of a superb shot technology elite killer. You will be faced with fully armed murderous terrorists, they are heinous. In order to complete the task and not be destroyed by them, you have to go all out. You can use a variety of weapons and shoot, including pistols, rifles, machine guns,and so on. Choosing different scenes and fight with them will make the game interesting. You will feel surprised by the Perfect game play. What are you waiting for, quickly picked up arms to fight with them. Last tips, take care and show no mercy, goodluck! 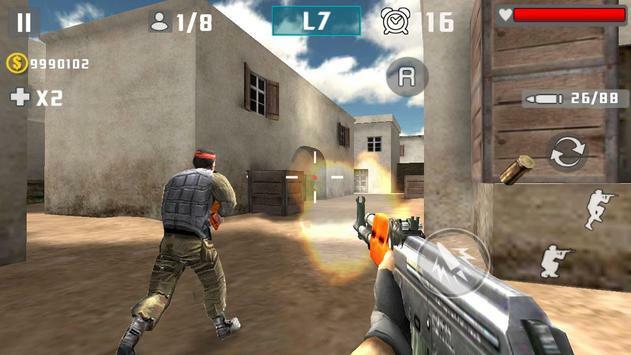 -There are several game modes available to players. Time limited Mode which you have a limited time to destroy the enemy, whether those tasks fail. In the Hostage mode, you should rescue the hostages whom controlled by the terrorist. Anyway you have to pick up guns and launched a desperate struggle with the enemy. -The game offers a variety of combat maps, such as the Desert II, Ice and Snow, the Persian Town, Dilapidated City.You will experience the fantastic fighting experience on this maps and will be shocked by realistic brilliant battle scenes. -Arsenal will provide attractive firearms for you. Which include guns such as A47,M4A1,M249,Deagle,Grozo,Barrett,AWP,MP5 and so on. All guns are very realistic, I believe it will give you a sense straightforward shooting experience. -The operation of the game is very cool, the game runs smooth, realistic sound effects, exquisite effects definitely gives you a straightforward shooting experience. Blood, Sound, Effects, GamePlay, all things are perfect. What you have to do is bore the bullet pierced into body of terrorist. -Each destroy an enemy, you will get gold award. You can use coins to buy more sophisticated guns or other useful items. You also can comparisons with other players to see who is more powerful and stronger. Your score will be uploaded to the rank. -Important is that the game is free, all things are free. Quickly pick up your guns and experience. 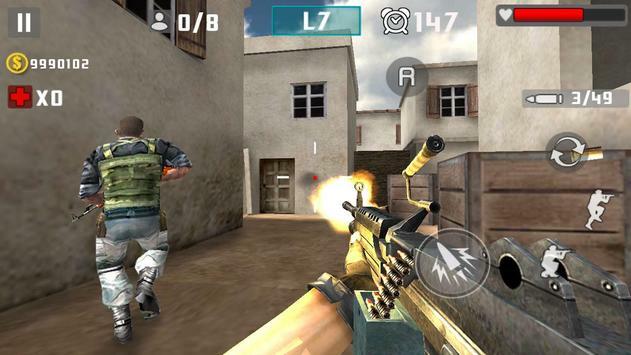 Please review Gun Shot Fire War Game and submit your comments below. We will collect all comments in an effort to determine whether the Gun Shot Fire War app is reliable, perform as expected and deliver the promised features and functionalities.